When it comes to re-tellings of a classical fairy tale, I always become wary and may feel a little doubt for the book. I have read countless of re-tellings and every one of them handles the tales in almost similar ways. It seems like most re-tellings follow the same guidelines and story plots as the original work. It's hard to find re-tellings that are good, different and doesn't lean too much on the original classical tale. So, you can imagine how glad I was to have found this work of Marissa Meyer. She is clever and creative in the re-imagining of a classical fairy tale-Cinderella. This book is refreshing and unique in its telling. 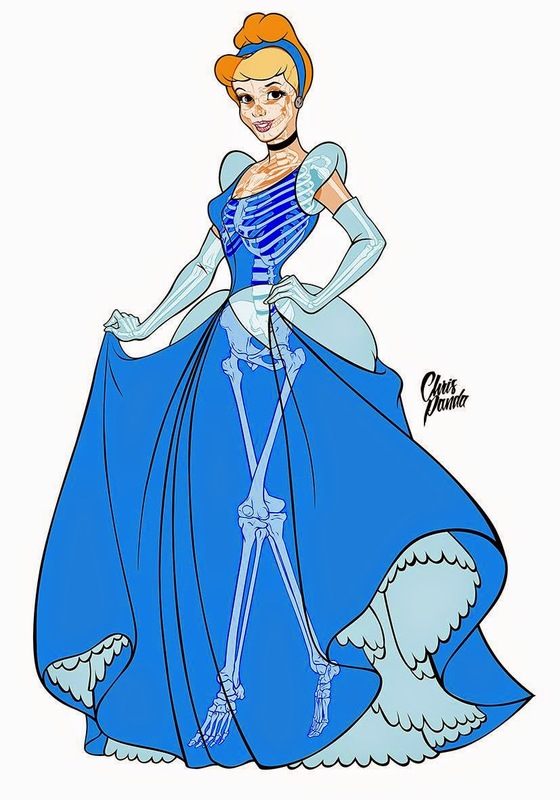 I mean, who will ever thought that Cinderella could be a cyborg? Cinder still follow the rule of the midnight and of course there's the iconic ball where Cinderella lose her shoe but not much is taken from the original Cinderella story so, it didn't felt like a direct imitation of the original work. Even the iconic scenes happened in a different way and was not predictably obvious and you wouldn't expected it to happen until it plays out and you go "Oh, that's the part where Cinderella did that too!". Set in the future, Cinder is a cyborg. 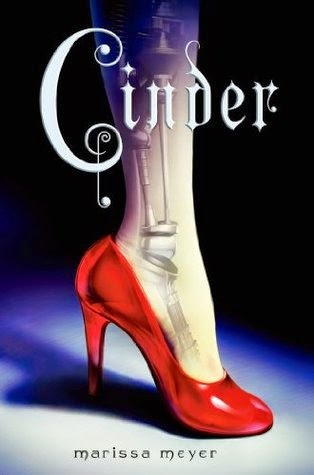 Instead of a glass slipper, she has a poorly fitted prosthetic leg that is made out of metal. At least, she doesn't need to worry about other girls fitting in her shoe right? I love that Cinder is strong-minded, independent and resourceful. She doesn't need a fairy godmother when she can handle things by herself. The world building are incredibly creative. The story not only have people living on Earth but also on the Moon! I love everything about the moon so I was especially excited about the fourth (and last!) book where the settings is going to be on the moon. Imagine that! There were things that happened repeatedly that just irks me. Prince Kai and the doctor was so casual in handling their "Confidential" information. 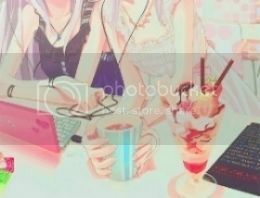 They were so willing to tell Cinder about Confidential stuffs after only a little pestering from her. I know this was supposed to show their trusts for Cinder, but it just annoys me because they were vehemently telling Cinder that they couldn't tell her something but end up telling her anyway. Also, I don't understand why the redhead-freckle-full-face (I don't remember her name! Was her name even mentioned?) girl from Lunar was so willing to help Prince Kai (and Earth) when I'm sure she grew up being told to despise Earthlings. She just appeared out of nowhere to save the day! Despite the amazing galactic (world) building, it seems like the smaller of the world were ignored. There were not any mention about New Beijing and how they became to be colonized by the Commonwealth. There were mentions of things that ties New Beijing to the current Beijing (in our world) like dumplings and market stalls but not enough to envision the world they live in. It almost felt like New Beijing was long ago converted into an English-speaking and mannered country with only the tradition of the Asian countries as its commonplace activities. There were no mentions about the people who you would have expect to live in New "Beijing" ie. the Chinese! Come to think of it, I am not even sure if the people in New Beijing speaks Chinese or English. Since, it wasn't mentioned I think we were supposed to assume that they speak English since they were colonized and all. The ending of the book seems kind of rushed. The redhead girl that I mentioned seems to be a deus ex machina since she sprout out of nowhere and told Cinder of useful information for Prince Kai that (maybe) could save the day. Despite of all that, Cinder is a very refreshing read. I am looking forward to be reading the next book. Recommended for those who love re-tellings and looking for a new twist of Cinderella!